TNT Supa Mass is a mega-calorie mass gainer to increase weight and muscle. To support their fitness goals lifter and athletes eat more food than the average person. 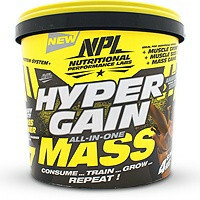 A mass gainer helps to supplement their food intake with a delicious tasting and convenient nutrition shake. Each serving will give you a massive 1151 calories which is similar to a 200 gram fillet steak with chips and onion rings. Protein increases muscle which is the reason athletes pay close attention to the amounts they eat. You get 50 grams of high quality protein from four different sources with each shake. 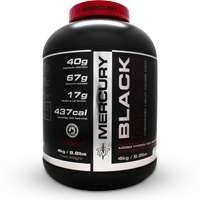 A blend of 4 creatines has been added to increase workout strength. Creatine has been well researched and shown to increase power output in athletes. This shake includes a patented enzyme called Tolerase® which helps the body to digest lactose and reduce any discomfort that users sensitive to dairy products may have. A meal replacement shake would not be complete without added vitamins and minerals to prevent any nutritional deficiencies that hard-training lifters may have. 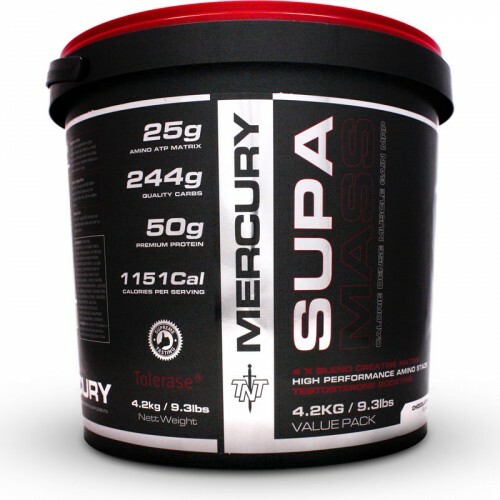 TNT Supa Mass gives athletes one of the highest amounts of calories per serving of any mass gaining shake currently on the market. Arginine, Cysteine/Cystine, Glutamic Acid/Glutamine, Histidine, Isoleucine, Leucine, Lysine, Methionine, Phenylalanine, Proline, Threonine, Tryptophan, Tyrosine, Valine, Taurine, Creatine Monohydrate, Creatine HCL, Creatine Gluconate, Creatine Ethyl Ester. * Nutrient reference values (NRVs) for individuals 4 years and oder. Carb Blend: Maltodextrin, Low GI Maize Starch, Fructose, Protein Blend: (Soy Protein Isolate, Skim Milk Powder Protein, Whey Protein Concentrate, Calcium Caseinate), Cocoa Powder (only in Chocolate variants), Amino Stack: (L-Glycine, Taurine, L-Lysine), Creatine Stack: (Creatine Monohydrate, Creatine HCL, Creatine Gluconate, Creatine Ethyl Ester), Flavouring, Lecithin, Stabilizers, Tribulus Terrestris, ZMA, Salt, Colourant (only in Chocolate variants), Sucralose, Acesulphame K-Blend, Vitamin Premix, Tolerase®. This product is produced in a facility that also processes ingredients containing egg, gluten and nuts. • Mix 6 level scoops (320 grams) into 600-800ml water. • Ideal as a meal replacement formula taken once daily as a full serving. 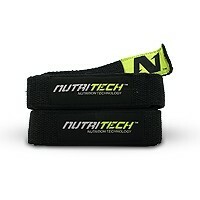 • Can also be used as a post workout recovery drink taken directly after your gym session. • First blend vigorously and then shake. • Mix with milk for added calories. This product is a dietary supplement and is not designed to treat or cure any ailments and no claims have been substantiated by the medical control council. Should you suffer from any ailments such as, but not limited to high blood pressure, high cholesterol, thyroid disorder, depression, etc, consult with a physician or dietary expert before embarking on a high calorie diet. Great Taste, Awesome Results. Would recommend this Product to anyone ! 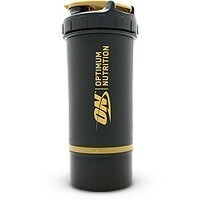 Excellent taste excellent price and the best bulk shake by far. I’d recommend this because it is well balanced. 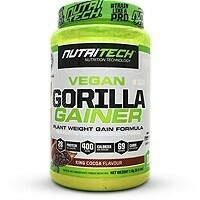 It’s much better than primal nutrition, the quality of this product proves itself. Product has quick results no words ... try it and u will be here typing just like me. Less effective for me for unknown reasons, whey protein is much better. What are these green bits? Amazing shake, but what are these green bits in it? 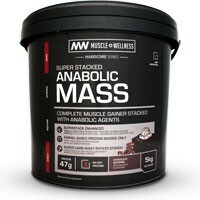 i think increasing its creatine and anabolic stack mg will fulfill muscle freaks as to avoid increase in supplement use as some use more than 3 supplements to gain mass and strength during and after workout.